Nu Groove welcomes Steve Oliver to the family!!! Now that Steve Oliver's in the house, lighting up clubs, concerts, festivals and radio request lines all over North America, Disneyland's going to have to come up with a new slogan. Wherever he is, wherever he's performing, no matter where you hear his irresistibly melodic guitar lines and magnificently soulful voice-it suddenly becomes the happiest place on earth. Between the smooth, funky and cool, his wild and kinetic transformation into a human drum machine and percussion choir weakens the resistance of even the hardest core cynic of "vocalese." Performing an incredible 200 dates a year, the next superstar of adult contemporary pop and smooth jazz all but dares you not to tap your toes, sing along gleefully and smile like a kid at Christmas. He's doing it. And it's the real deal. No ego, no over the top flash, not trying to be too hip for the room and aloof for the fans. Just having a blast, sharing the joy of what he does-celebrating life and music. 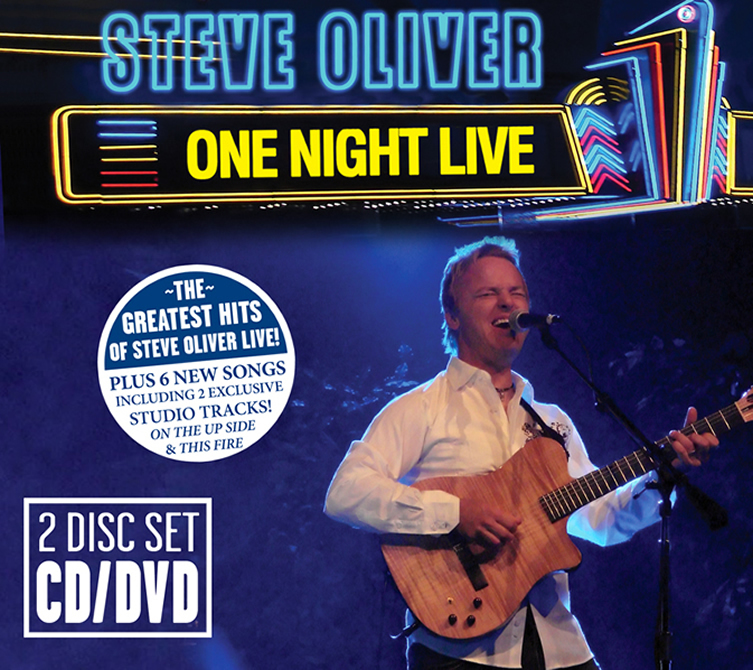 This jubilant, growing legacy continues in 2008 with the release of his new 2 Disc Set (CD\DVD} "One Night Live" , which includes many of Steve's "Greatest Hits" live as well as two new studio recordings, including his current hit single "On The Upside". It wil available at retail on June 24th, on Nu Groove Records.